It’s that time of year again when our kids go back to school. My eldest is starting school this year so I’m casting my eye to the furniture he’ll be needing for this huge milestone. A desk is something you usually only buy once so getting it right is imperative. The fact that I’m writing this article from my very own childhood desk demonstrates that quality furniture can last a lifetime. I never imagined at thirty-something I’d be working at the same desk I used during my Higher School Certificate studies! Lilly & Lolly has the most beautiful desks for young students – the designs are classic and the construction is impeccable. The Sweetheart Desk (above left) can be tailor-made in white with either heart or star cut-outs, or with handles fitted to your specifications. The Marina Desk (above right) is made from a combination of solid Tasmanian Oak and oak veneer and coordinates beautifully with the wall shelf in this range. Our Babyology pick is the stunning brand new Colourbox Desk (below) with its gorgeous continuous legs (wish I had some of those!). It’s available in all white, all Tasmanian Oak, or a combination of Tasmanian Oak and satin white painted drawers. 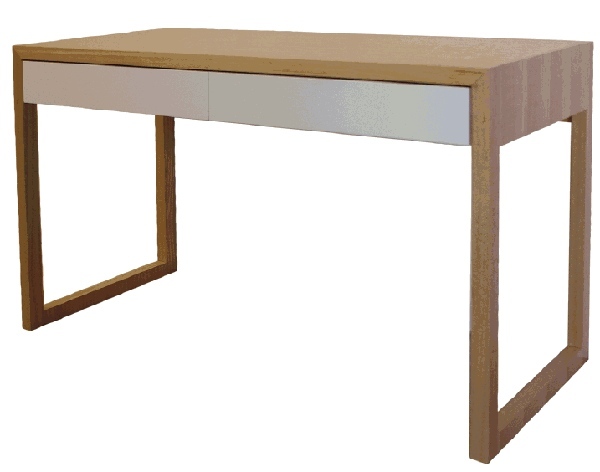 The Colourbox Desk is priced from $920 and can be purchased from the ever-evolving, always stylish Lilly & Lolly. Also make sure to see our past editorial on Lilly & Lolly designs.